Successfully Added 2-Way Car Alarm Security System - 200 Meter Range to your Shopping Cart. 2-Way Car Alarm Security System with a massive 200 Meter Range is a sensible wholesale priced solution to increase the security of your vehicle. Protection and security is a must in today’s society and an easy target for the criminally minded is a vehicle such as a car, however Chinavasion has a way to provide you extra security that will thwart their plans. 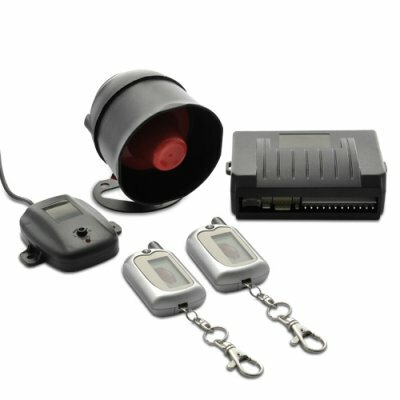 This sophisticated and effective 2-way Car Security System helps to protect your vehicle and its contents while the screen on the remote control will let you know exactly what is happening to your car, as well as letting you instantly issue commands to the system for various security situations. Designed to be used for all common cars, vans, SUV sand trucks, this state-of-the-art 2-Way Car Security Alarm System can effortlessly protect your beloved vehicle from thieves and intruders. The mini remote control works can be easily attached to your key-ring or fit inside your pocket. With its intuitive interface, you can monitor the status of the alarm system or remotely control it up to 200 meters away. An example of where this 2-way car alarm would work well would be when you have parked at work or at the local supermarket and you have to leave your vehicle unattended. You walk away from your vehicle and then someone from afar has watched you left so they sneakily approach and try to interfere with your vehicle. 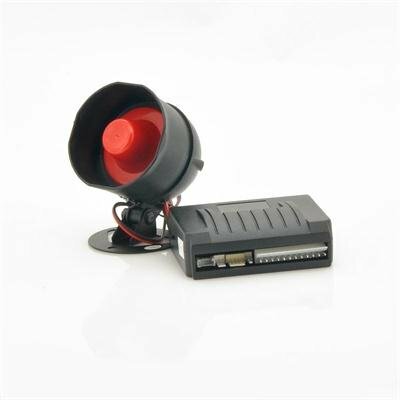 This 2-way alarm will ensure that they are warned by the 15W siren with a 125dB sound level to make sure they understand loud and clear to stop what they are doing. Also this 2-way security gadget can monitor the doors, trunk, foot-brake of your vehicle in real time for extra awareness. The two remote controllers that come as part of the package both have a 1.5 inch LCD screen to indicate your car’s status as well being incredibly lightweight to carry about. Never again worry about your vehicle as this 2 way security gadget will guarantee that within range, you’re in control. If you just bought a new car or own a car that is irresistible to thieves then this 2-way security gadget is for you. This product is in stock now and can be shipped directly to you within one working day with a 12 month warranty. Brought to you by the leader in wholesale electronics and car security, Chinavasion.